Welcome to our February E-Tools Newsletter! This monthly TCC field report also includes outreach resources to encourage and equip you to more faithfully share the Gospel with all those lost in your life as we witness for Christ in Canada together. We trust that the following Gospel testimonial will inspire and instruct your church about the importance of being biblical witnesses together for the glory of Christ – even when He brings supposed “Atheists” among you. It was a much more frigid Friday evening than usual. In fact, had we heeded the weatherman’s wind chill warning and cancelled our weekly outreach, I would have kept much warmer…but I would not have met John (name changed). I first saw this young man out of the corner of my eye as I was preaching the Gospel open air at the downtown intersection that we affectionately call the “Lions’ Den of London” (Ontario, that is). Suffice to say that his body language and facial expressions conspired together to confirm that he perceived my little sermon as just plain silly. Sensing an opportunity to reason with him, I proceeded to preach and apply the verse: “For the word of the cross is folly to those who are perishing, but to us who are being saved it is the power of God.” (1 Corinthians 1:18) The words the Holy Spirit brought to my mouth next I had never said before: “The fact that you find this message funny is only further proof that you are in the act of perishing!” Silence. Immediately after I stepped down from the preaching box, the young man approached me smirking and evidently eager to give me his two cents on what I just said. 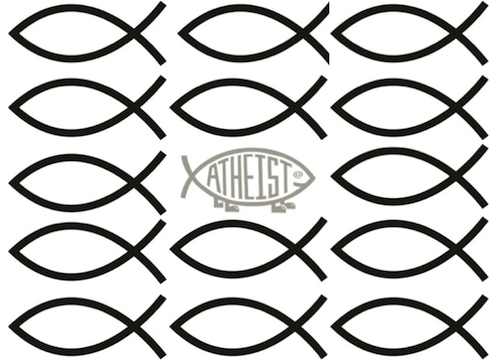 “I am an Atheist”, he proudly announced. I smiled, extended my hand and said: “My name is Cory. What’s yours?” “John”, he responded. “I am very pleased to meet you John. John, would you consider yourself to be open-minded?”, I asked. “Yes”, he replied. “Well, can I share something with you without you punching me in the nose?” “Sure” he said. I grabbed my Bible and began to reason with John. Thumbing to Romans 1, I announced: “The Bible says that there’s no such thing as “Atheists” because everyone actually knows that God exists but we basically ignore Him because of our sin.” As you likely guessed, John quickly lashed back with: “Well, I don’t believe the Bible either.” “So, you don’t believe that the Bible is true?”, I asked. “That’s right”, he said. “But you do believe in truth, correct?”, I continued. “Of course!”, said John. As suggested in our Worldview Witnessing Tracts, I then asked him: “OK, then can you please tell me what truth is without God?” Silence again. The Bible teaches that everyone knows God exists and are without excuse for denying Him (Romans 1:18-21). Further, understanding the fact that God actually calls all those who deny His existence “fools” (Psalm 14:1) is vitally important when entering into a conversation with a supposed “Atheist”. Premise: Jesus Christ is the beginning of all truth. Premise: All arguments presuppose truth. Conclusion: All arguments presuppose Jesus Christ. To explain further, you might think of it like this. If your skeptical friend were to say, “I don’t believe it’s true that words exist”, how would you answer? You’d simply say: “But you’re using words to argue against the existence of words.” Well, in the same way, when the skeptic says: “I don’t believe it’s true that God exists”, they’re using truth (which only comes from God) to argue against God! We just need to gently, respectfully, and patiently teach them this from Scripture (1 Peter 3:15; 2 Timothy 2:24-25; Acts 17:2). Back to our story. After my new friend John nervously “hummed” and “hawed” trying to merely define the truth he was so adamant that I was violating, he finally fizzled out and sheepishly admitted: “I don’t know what truth is.” “Well, in all due respect, John, how can you debate truth if you can’t even define it?” Silence yet again. I then took the time to again reason from Scripture. I showed John how he believes in truth because he is made in God’s image, but he is actually suppressing the truth in unrighteousness and ignoring the one true God he really does know exists. So God’s pronouncement of the “Atheist” as a “fool” is not an intellectual indictment, but rather a moral one because he is calling God a liar by denying what God has said to be true. After getting to know John and his background for a few more minutes, what happened next totally shocked me. John actually asked me if I had a Bible for him! 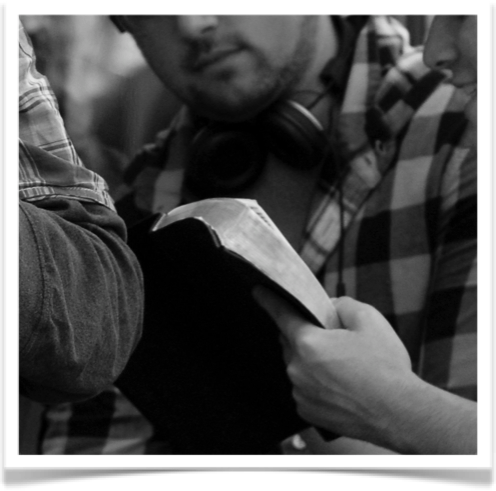 (Interesting request from an “Atheist”:) As we always carry Bibles to give away, I joyfully gave one to John and bookmarked the Gospel of John with a more comprehensive Gospel tract and encouraged him to begin reading God’s Word for himself. I also gave him an invite card to our church and assured him that I would be personally willing to walk with him into a deeper understanding of the truth of Who Jesus really is. Would you believe that John actually thanked me, shook my hand, and even gave me a hug for taking the time to talk with him? As John disappeared into the night, I was concerned that I’d seen the last of him. But – by God’s grace – two weeks later our team encountered John again on the same street corner! Thankfully, because we teach all of our team members to be Christ’s witnesses together using the various spiritual gifts He has given each, one of our men who has the gift of hospitality again invited John to church…and even offered to personally pick him up on the way! It was truly a testimony to God’s grace and the power of the Gospel when John arrived at church. Not only did he experience one body with many members working together to serve him for the glory of Christ, but as the Lord would have it, I was actually preaching that particular Sunday! As I type this testimony, John and I are scheduled to get together again for coffee to further discuss his experience with God’s Word and God’s people. Please pray that God will draw John into a saving relationship with His Son and grow the seed of His Word that has been planted in John’s heart! His Gospel. His Gifts. His Glory. The Cross Current (TCC) is a local missions ministry and outreach broadcast bringing glory to God’s Name by unifying His Church in His Gospel and helping pastors equip all Christians under their care to be Christ’s witnesses everyday, everywhere, to everyone, as one body serving in accordance with the various gifts He has given each. With the warmer witnessing weather just around the corner (praise God! ), we trust that the following article will prove helpful as you and your church prayerfully plan to make the most of Spring and Summer seed sowing. 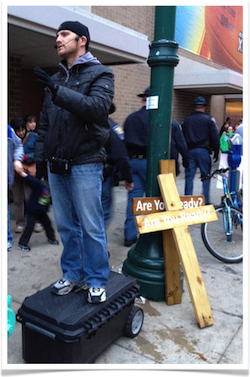 As ministers of the Gospel, we have been forced from street corners and threatened with arrest by local law enforcement. One of our preachers was even sucker punched in our own hometown while preaching open air! Doing spiritual battle always carries a cost…even when the mission field is right here in Canada. 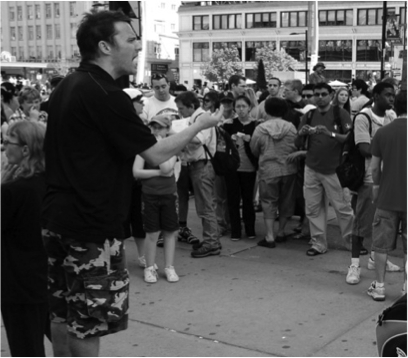 After years of experience, we have come to believe that biblically and culturally balanced street ministry in North America may be best modeled after what have been called the “three worlds” of Paul the Apostle. TCC’s training is based on the ministry demonstrated by Paul the Apostle. As an evangelist to the Gentiles, Paul has been appropriately called the “man of three worlds”; i.e. an an expert in: the Scriptures, false beliefs, and rights of Roman citizenship. First, street ministers need to accurately apply the Scriptures. As a Jew, Hebrew of Hebrews, and former Pharisee (Philippians 3:5), Paul was masterful in his handling of Scripture in both evangelism and discipleship. 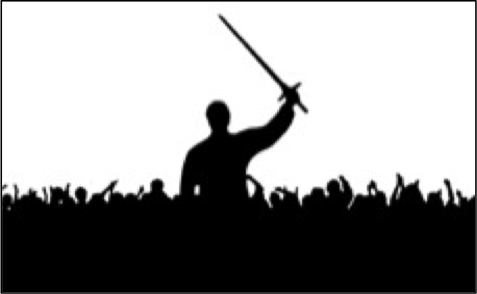 As faith and regeneration come only by God’s sovereign grace through hearing His Word (Ephesians 2:8-9; Romans 10:17; 1 Peter 1:23), street ministers must resist the pull towards pragmatism and “culturally relevant” preaching by constantly placing their trust in the power of the foolish preaching of the cross. Second, street ministers need to biblically defend against false belief systems. As a Greek thinker, Paul demonstrated exceptional dexterity in boldly confronting the false belief systems of his day with the truth of Christ, yet always doing so with sensitivity and diplomacy (Acts 17). As ones called to bear witness to exclusive Truth amidst an academically charged culture steeped in philosophical/religious pluralism, street ministers must learn to faithfully reason from Scripture to apply biblical truth to all expressions of idolatry, rebellion, and unbelief. Granted, while the first two aforementioned Pauline “worlds” are hopefully very obvious to today’s street ministers, it’s been our experience that the third is rarely (if ever) explored. And that is that street ministers must know how to legally leverage their rights as citizens. In several instances, Scripture testifies to how Paul’s timely appeal of his Roman citizenship not only spared him further persecution, but also furthered His God-given mission of evangelizing the Gentiles (Acts 16:37; 22:25). Undoubtedly, this vital component of Paul’s public preaching ministry is the most often overlooked. 7) Finally, it is recommended that those street ministers who preach and equip others to preach on a regular basis have access to a dedicated Christian lawyer who fully supports your public proclamation of the Gospel. Christian Legal Fellowship is one such trusted source to seek credible legal council. Do you know that with each new series of our program, TCC Radio provides helpful tools that you or anyone in your church can use for reaching out to lost loved ones with the Good News of Jesus Christ?TCC Radio “Listener’s Scripts” are conversation scripts very similar to those used by our radio reps throughout the production of each series that have been slightly edited to be used with loved ones. Hear the trailer for this series NOW! Equipping the saints by example for the work of the ministry is the heartbeat of The Cross Current. Please pray for Cory McKenna as he trains a large group of students at a conference in Winnipeg this month, and for the fruitfulness of the Church Champions Training we will be providing to evangelists from several local churches this coming May 8th to 10th. Outreach radio has always been part of the discipleship DNA of The Cross Current. As we continue to broadcast in London, the Waterloo Region, Chatham-Kent, Belleville, and Cobourg, please pray for the Lord to open more doors for TCC Radio to expand into other cities across Canada in partnership with local churches. Canada needs Christ! Please pray that God will speak to the hearts of more and more supporters who will give generously and cheerfully to our work of equipping pastors and their churches in Canada to more faithfully and more urgently share the Gospel. Should you or anyone else you know personally choose to give, please visit the Donate page of our website here. We thank God for you and your partnership in the Gospel!